For almost any shop, getting involved in BMX is a very good idea. BMX is a high-energy, accessible, and youthful category that can create lifelong cyclists and customers. There’s likely a community of riders already near you that would love to have a local shop to support and equip them. It’s easier than you think for that shop to be yours. I’m Jay Schlie from QBP BMX. I’ve ridden BMX most of my life and have made a career out of my passion for it. I’m guessing you have positive memories from when you were a kid that are bike-related, and I’d be willing to bet that some of those memories include a BMX bike. I sure can remember getting my first BMX bike, the shop I got it in, and going back in to get new parts, see demos, and meet friends that I still have 20-plus years later. BMX is a part of youth; and for me and countless others, it’s the gateway into cycling. BMX has come a long way from its start in the early 1970’s. Like anything that has been around for that amount of time, BMX has had its share of ups and downs, but as of now it’s growing. While the average age of riders is between 11 and 17, many BMXers these days are continuing to ride past 18, and there is a large number of riders who have gone on to work in the cycling industry. This older demographic that has stayed specifically in BMX has added stability to the category, and it’s been a huge benefit that’s helped bring about BMX’s current success. I’ve encountered countless bike shop owners, brand owners, and even manufacturers who have shared their BMX roots with me, and have always maintained a spot in their heart for it. They may have branched out into other disciplines, but the important thing is that because of BMX, they’ve become lifelong cyclists. And it’s not unusual to find consumers who are still spending their hard-earned money at the same bike shop where their first BMX bike came from, on high-end road or mountain bikes. Carrying BMX can lead to lifelong customers, and that is no doubt a great business plan. If you run a shop and you’re not carrying BMX or familiar with it, where do you start? Watching today’s BMX videos on YouTube can be intimidating—all these young and fearless people flying off everything in sight. But it’s likely that BMX is already in your community, ready for the kind of support your shop can pretty easily provide. First thing you’ll want to do is research your surroundings. Do you have a skate park, dirt jumps, back yard ramps, or a BMX track in your town? If your community has any of these things, you have an advantage to help you get started. If you don’t have these things don’t count yourself out—we will get back to that. Let’s say you do have a skate park (bike park) near you. Spend a little time there to see what the kids are riding, and who is riding. Look for trends in things like colors and brands. Introduce yourself and your shop and ask them what they currently like or would like to see or have more of. Information straight from the source is invaluable and most often all you need to make informed decisions when starting out. If you have a BMX track nearby, go to the races. BMX racing is a lot more structured and will have participants from ages 3–50+. Race bikes are going to be set up differently than other BMX bikes. 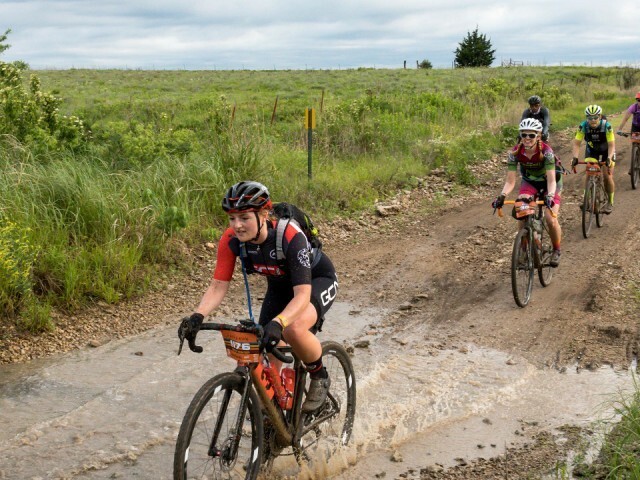 Lightweight parts are what racers are after, with crossover into other parts of cycling like SPD pedals and shoes, chainrings, cantilever brakes, and lock-on grips. In either of these venues, handing out stickers or giving out a few shirts can make a huge impact. At the racetrack, set up a repair stand and help kids switch chainrings or tires. Learn what’s needed to be a track official and volunteer for the best seat in the house. If you have a skate park, see what’s required to host a small jam, then fill up a cooler and bring a grill out to the park. As promised, here are some things to consider if you don’t have a track or bike park in town. Use qbpbmx.com, and QBP BMX on Facebook and Instagram to find out all kinds of great info on the BMX trends that are happening now. We go out of our way to keep these things current. 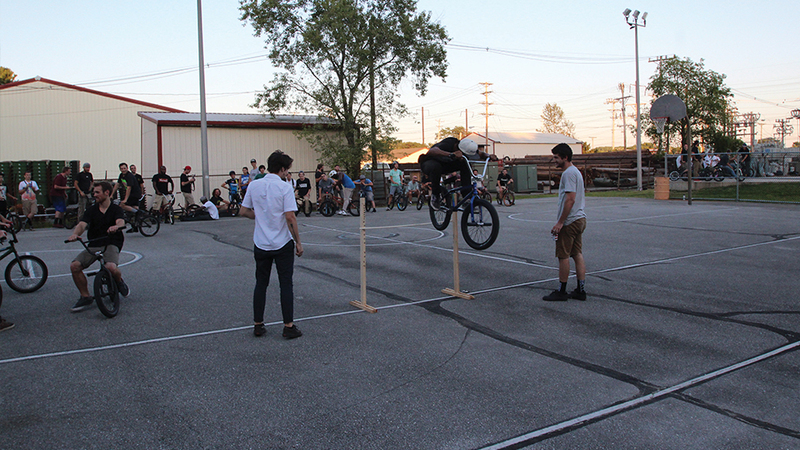 Or set up a simple bunny hop contest in your parking lot with equipment you can build for next to nothing. I can tell you from experience that these are the kinds of things that bring kids out of the woodwork. It really doesn’t take much to get kids excited about BMX when you show them you support it and them. Once you’ve done the fieldwork, you can place a small order and still have it make an impact. Think about consumables like tubes, grips, tires, seats, and plastic pedals. Riders like to change the look of their bikes, and they can do that very quickly with some of these simple items. All of these items are high-margin, and with a small investment of less then $500, you can easily create a BMX section in your shop. Build up your stock slowly, and buy more as things sell. 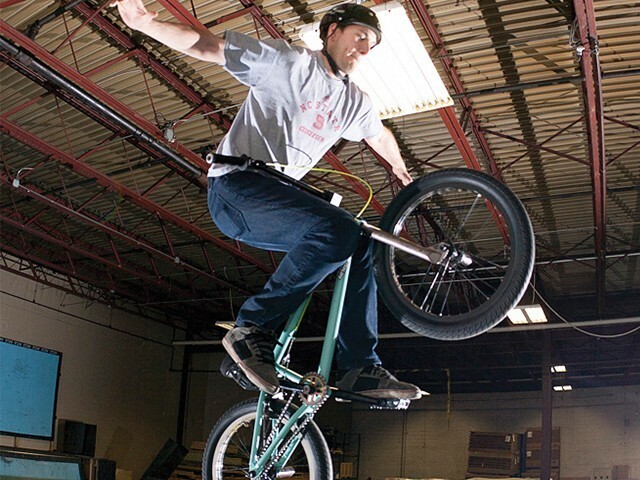 With one-day shipping in most of the U.S., QBP BMX lets you keep overhead low. And with over 50 BMX brands, you can be sure QBP BMX has what the kids are going to ask for. When kids buy something for the first time, let them know that you can install it for them, maybe even for free if it’s something small. Going beyond the sale by handing a kid a free sticker or poster from your shop goes a long way toward building a relationship. These are the tools that will establish your shop as a BMX destination for riders. These are the same things that will beat the Internet mail orders. Now that you’ve established yourself as a BMX shop, it’s time to take things to the next level. Think about having a demo by a pro team, or even a shop meet-and-greet. Every BMX company that has a team is also sending them out on the road. For riders, nothing beats seeing their favorite pros do their thing in person. It definitely inspires kids to keep riding. I remember seeing Mat Hoffman as kid and thinking all I wanted to do was ride my bike and travel. Some things just don’t change! A demo can draw over 200 people to your shop if you promote it well. 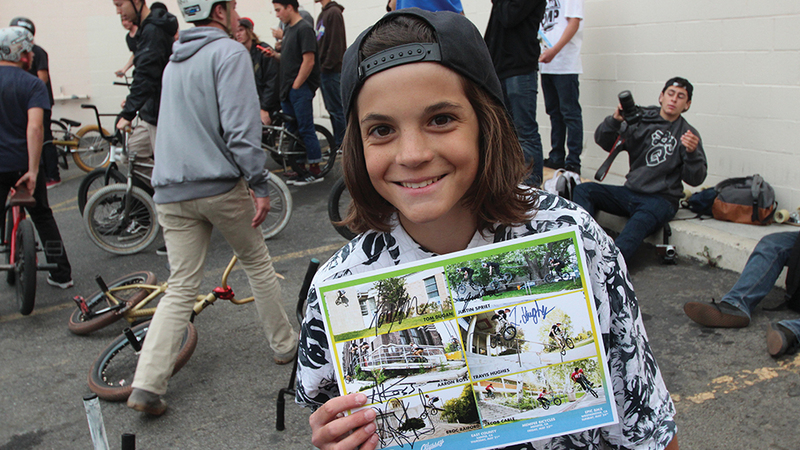 Kids talk to pros, get autographs, and ask the parents who brought them there for new handlebars, wheels—and even bikes—on the spot. Bike shops have reported not only higher-than-average sales on the day of the demo, but also an increase in the long term. 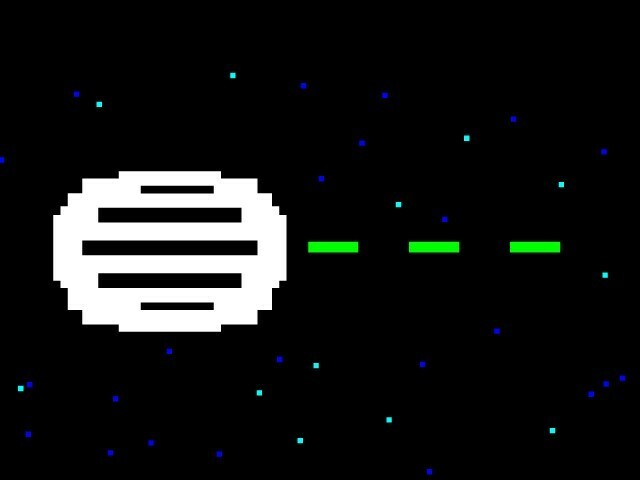 The overall experience of a demo will be remembered years, and even decades, later. BMX is something you can easily add to your shop and see incredible gains. QBP BMX has the resources to help you. Most of all, you have the chance to shape kids’ lives, and how they think and shop when it comes to bikes. To this day, two of the biggest names in BMX still mention the bike shop where they got their first bike and sponsorship. Just by adding BMX to your assortment, your shop could be the one that produces the next big name in cycling. The Cult Vans grips feature a classic Vans waffle pattern and are made by ODI in the USA using their proprietary rubber compound. The Longneck flangeless grips feature the classic mushroom rib pattern and are constructed with a softer compound for added comfort. The Pursuit grip features wavy horizontal ribbing and a textured section at the outer end to mimic how people usually wear their grips in while providing a comfortable feel. The Tidal grips feature a 160mm length with alternating patterns for comfort and wear resistance. The Escape has a flat tread profile with a smooth center section and knurled sides. The Fireball tire is wide, grippy and reinforced with a puncture-resistant nylon belt. The Aaron Ross signature Ross 2 tire features a block pattern suitable for street, park or trails. The Tom Dugan signature Grandstand pedals feature a slim design to keep feet close to the axle, dual concave and a wider platform. The Twisted PC features a simple, lightweight, inexpensive and durable plastic-bodied design. The Surge pedals feature CNC'd construction, a low-profile design, sealed bearing/bushing construction and a full set of replaceable pins. The Slash PC is a low-profile, loose-ball pedal with a chromoly spindle and a classic shape. The Bluebird features a KMC 510-HX chain with a factory installed half link.